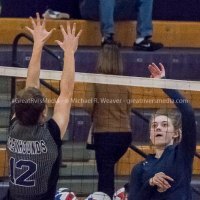 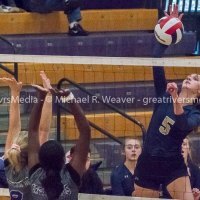 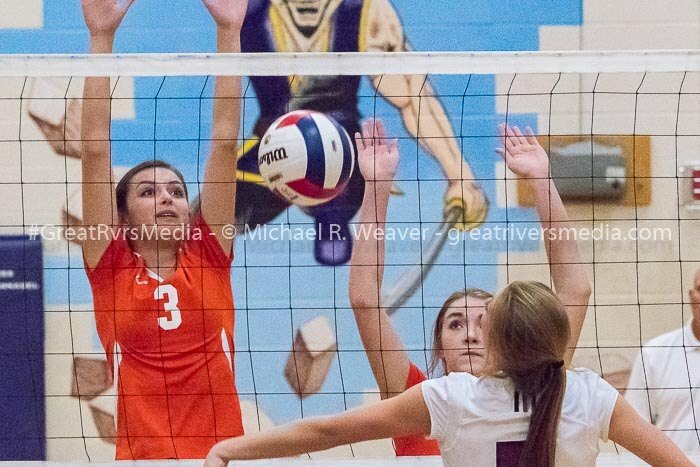 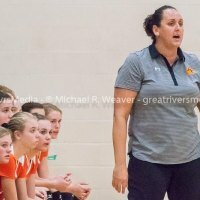 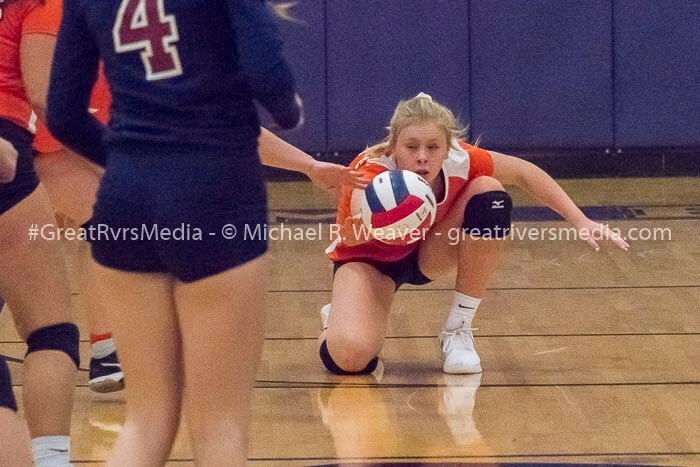 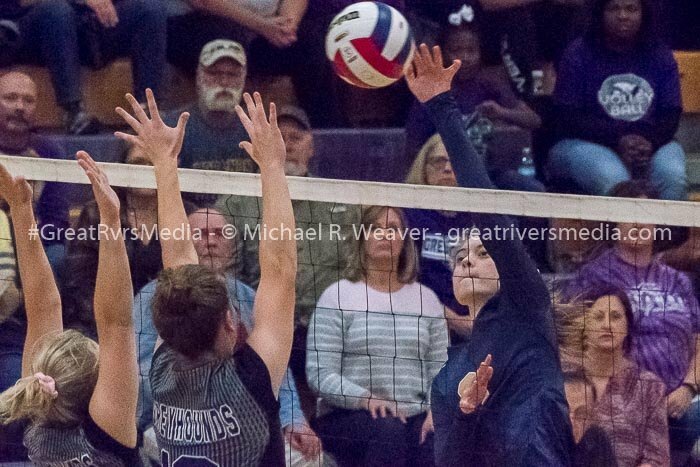 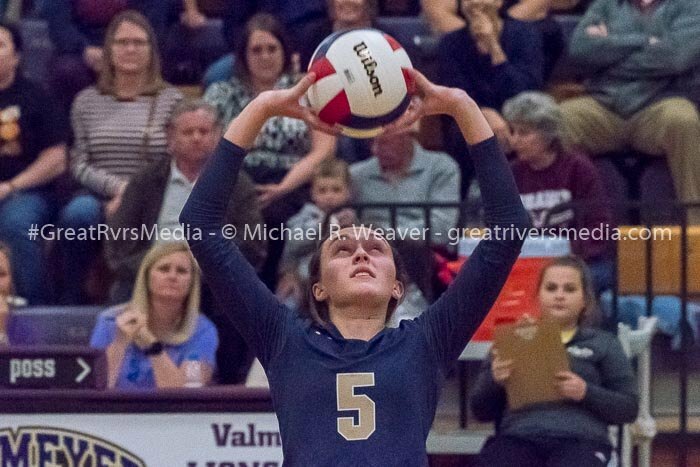 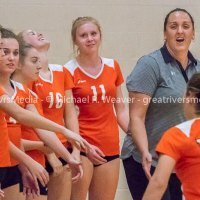 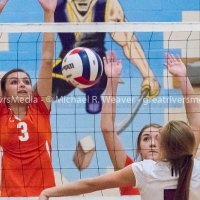 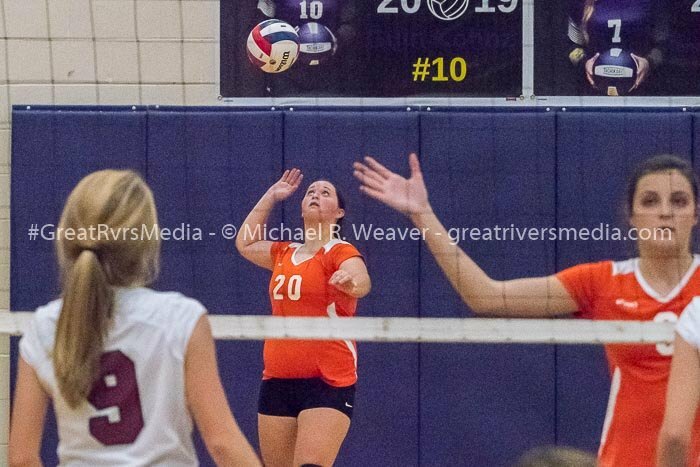 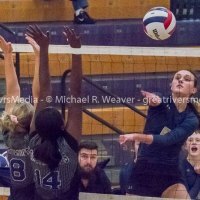 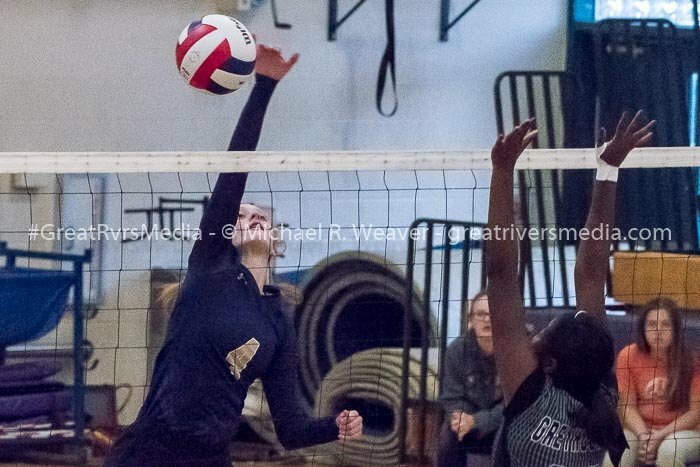 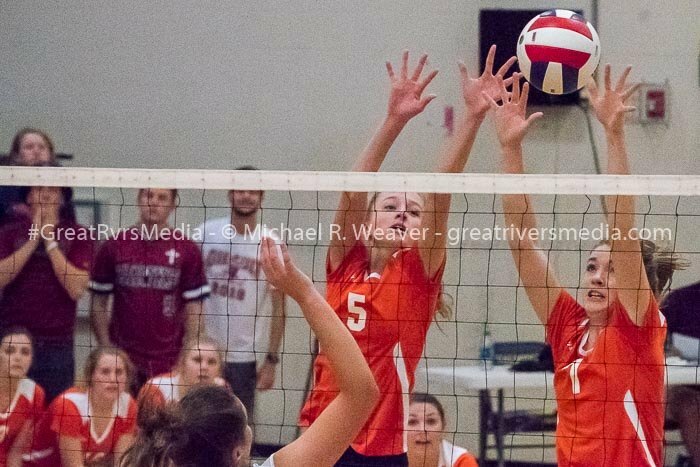 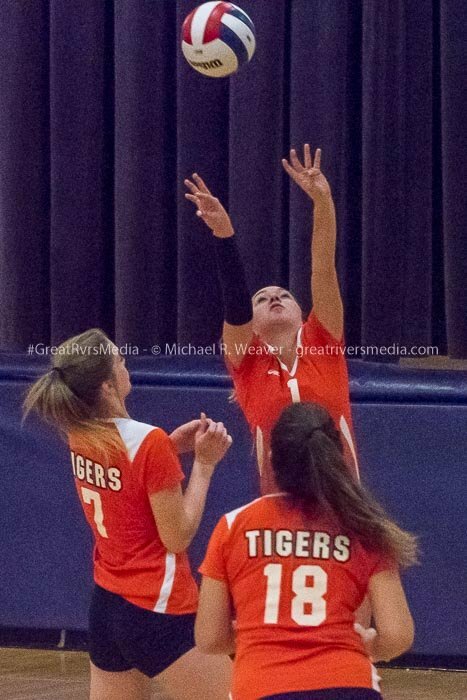 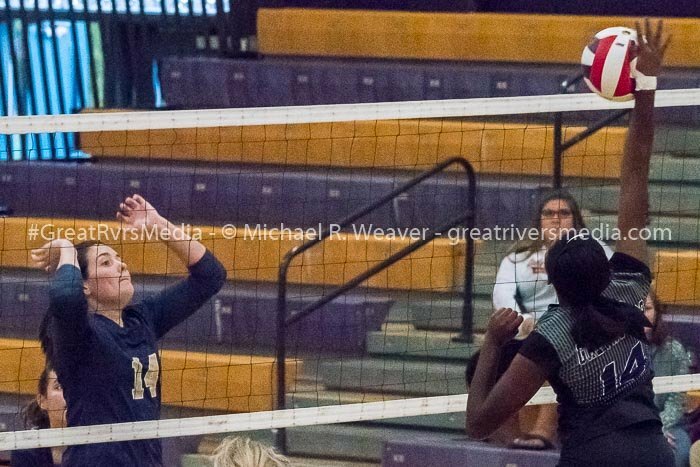 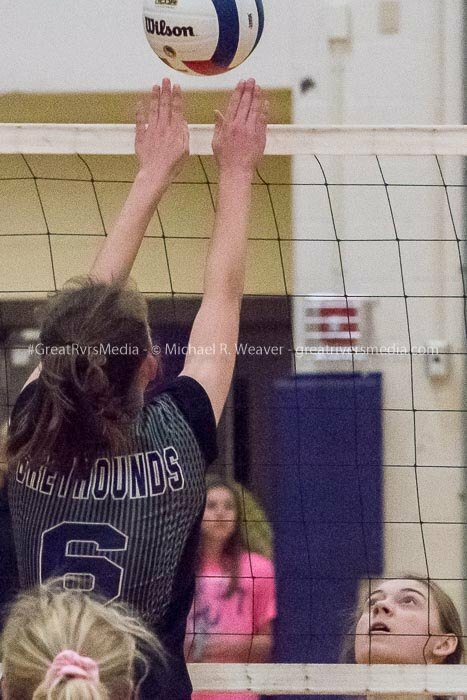 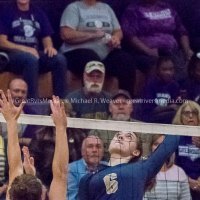 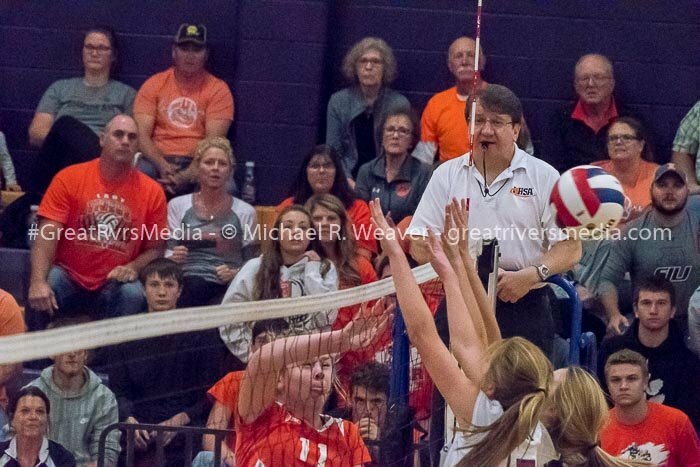 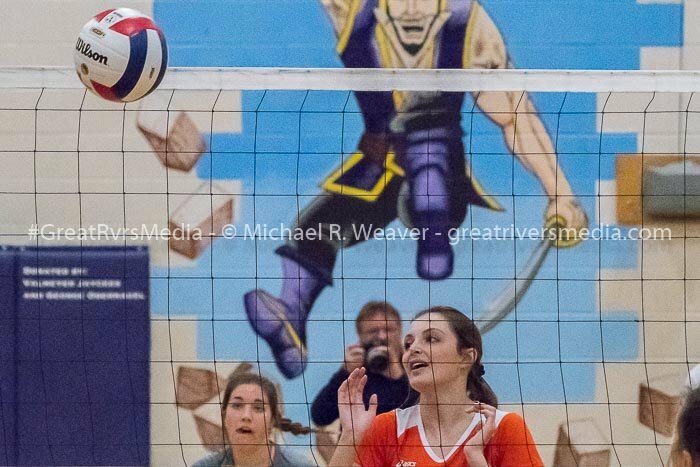 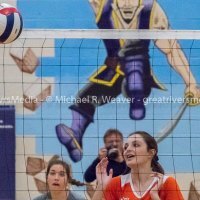 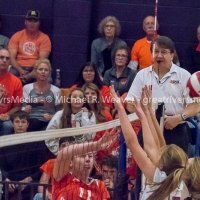 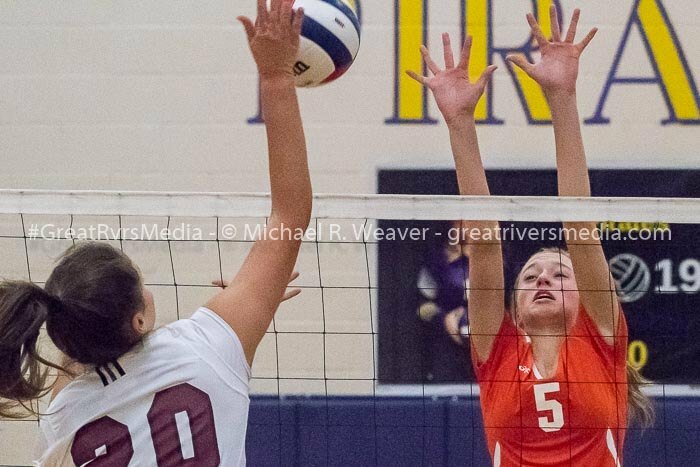 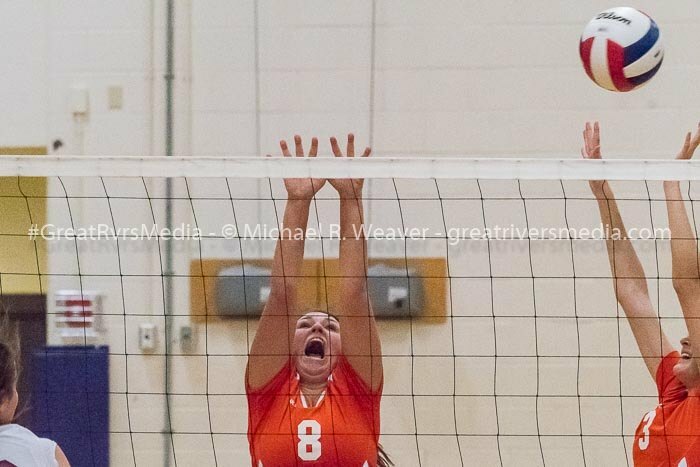 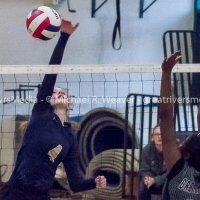 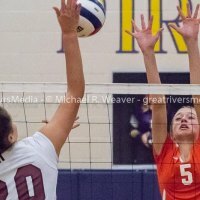 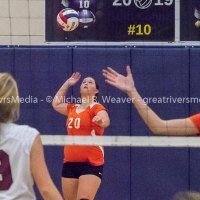 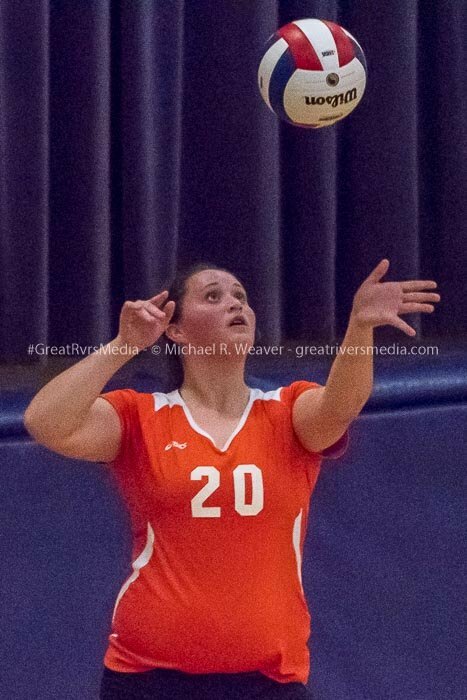 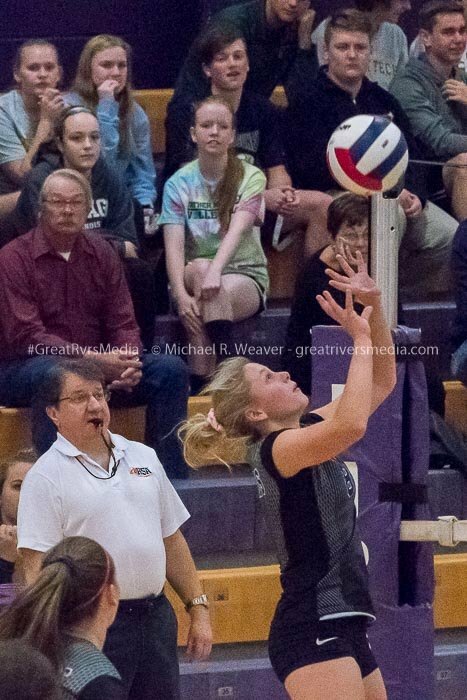 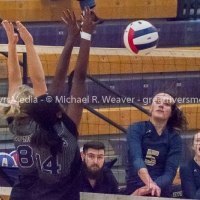 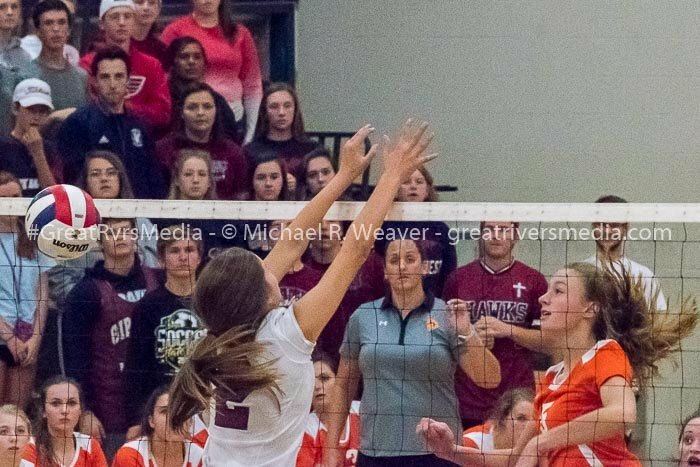 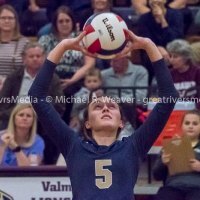 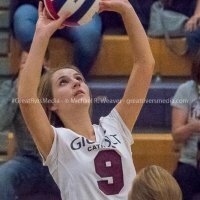 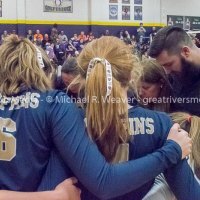 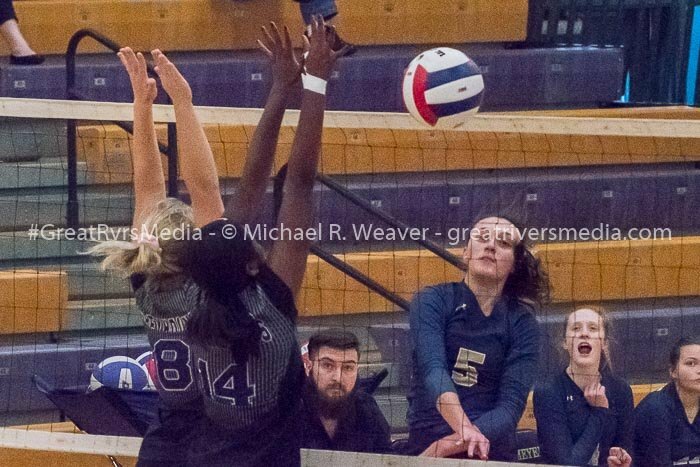 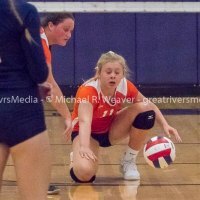 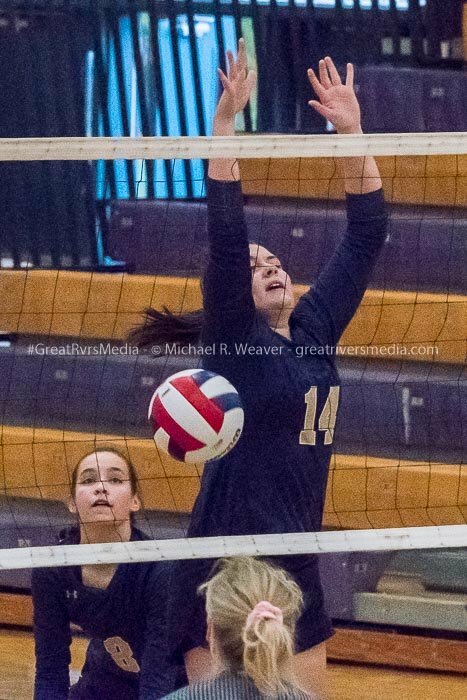 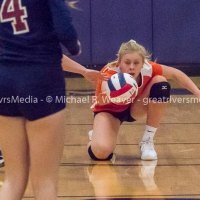 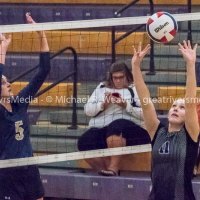 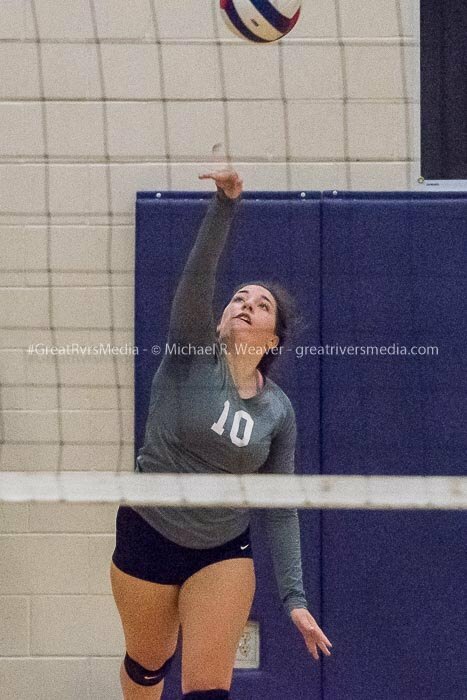 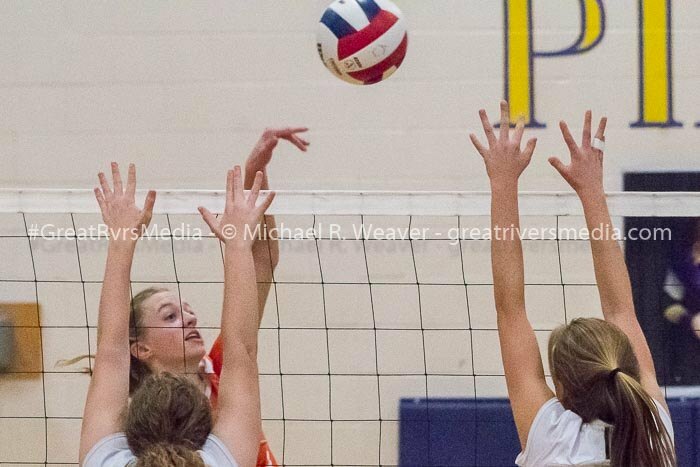 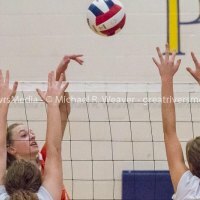 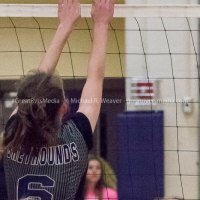 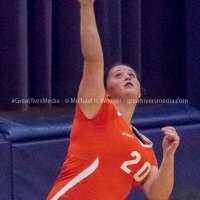 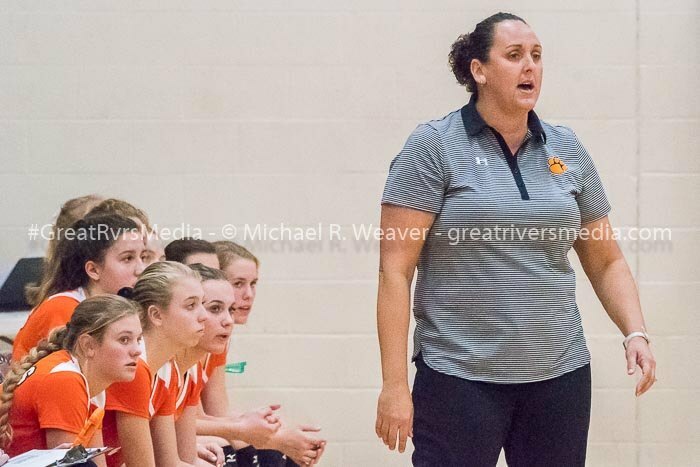 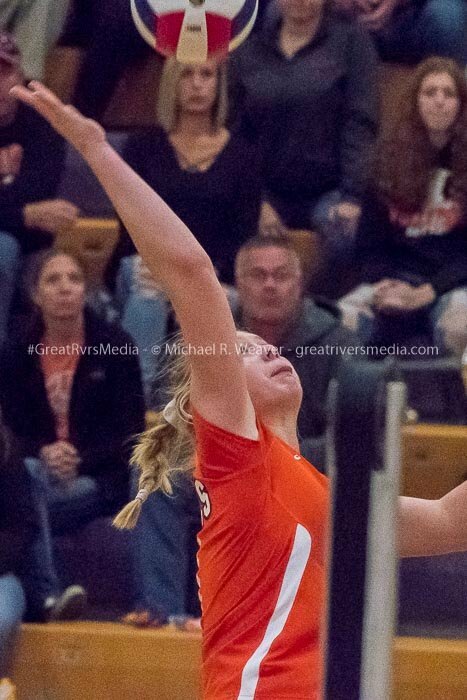 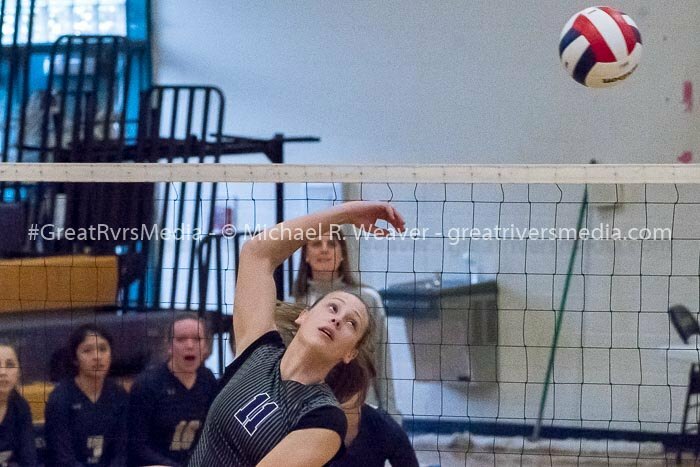 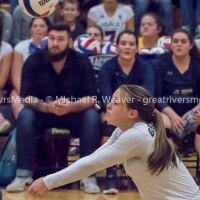 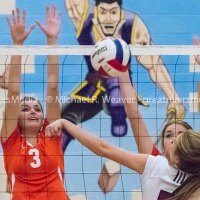 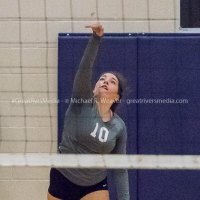 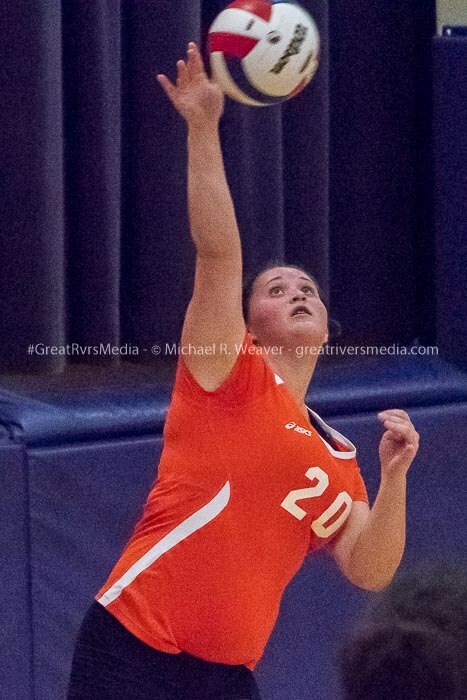 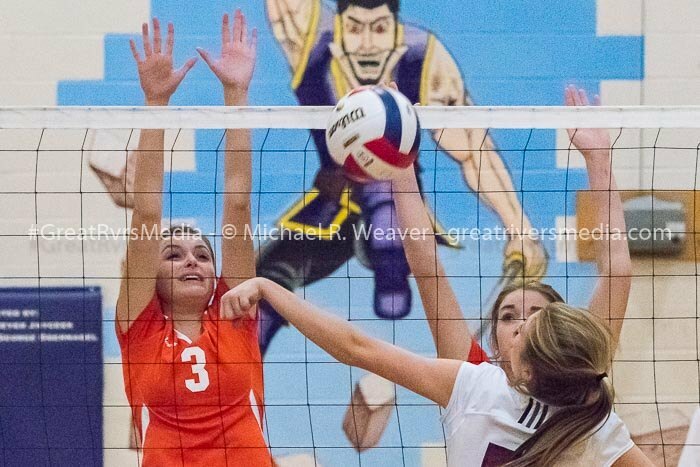 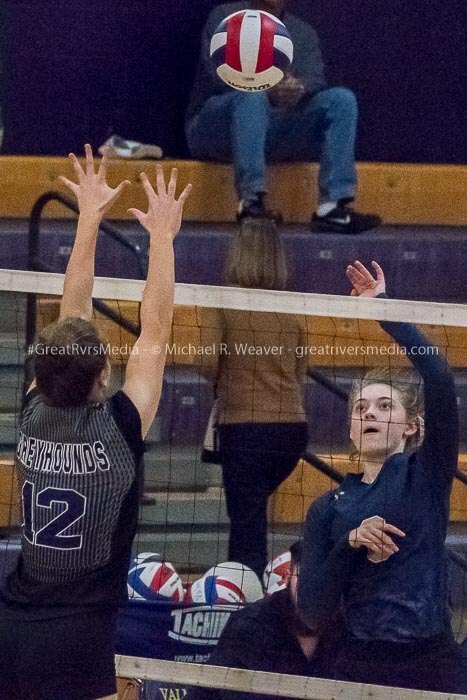 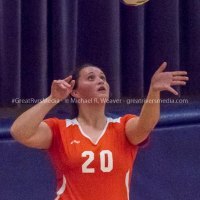 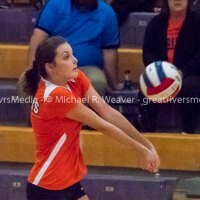 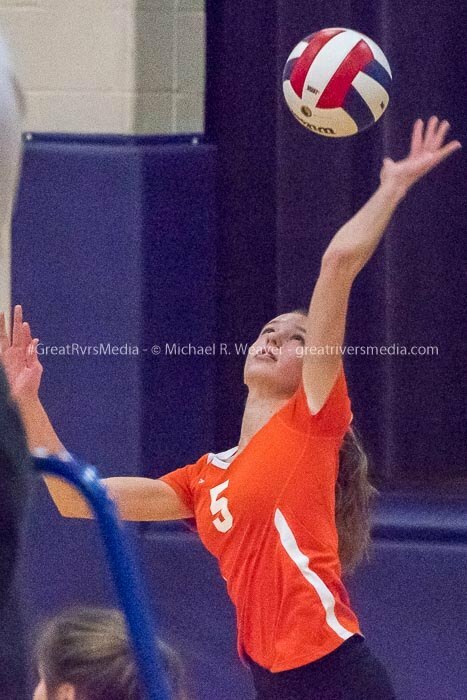 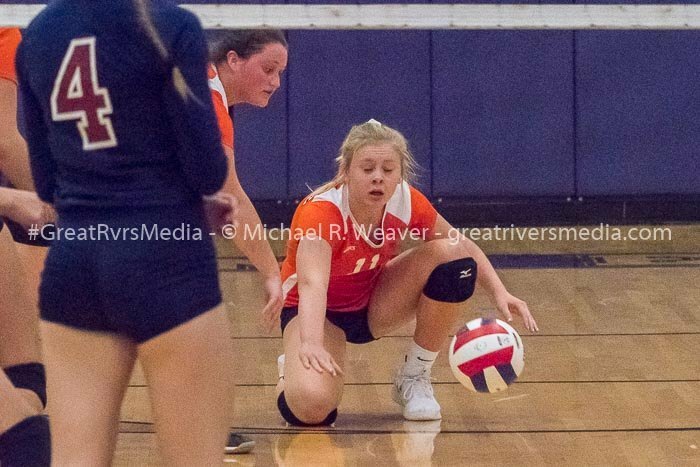 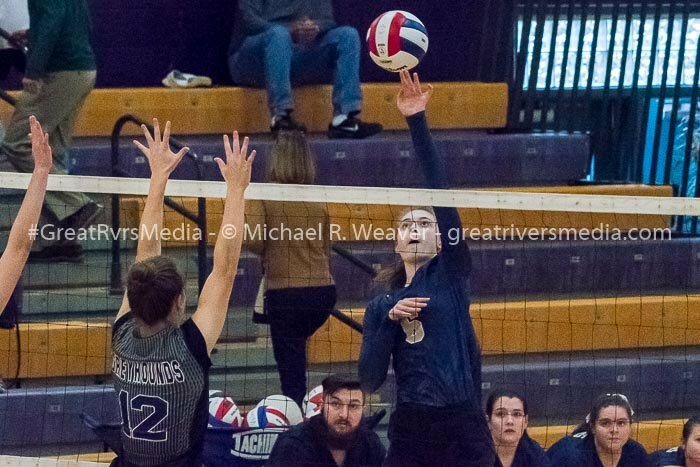 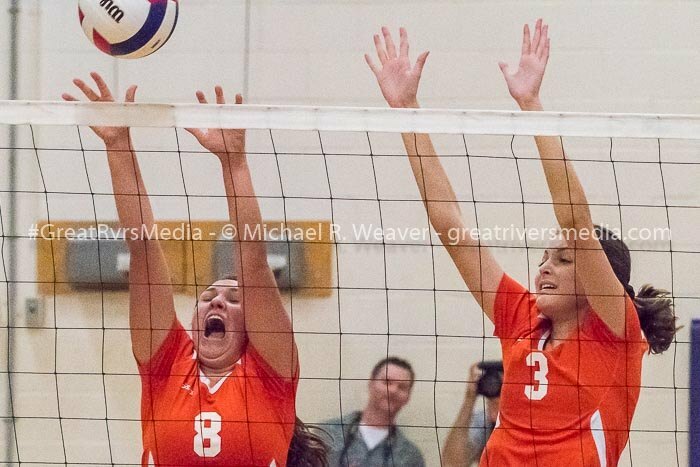 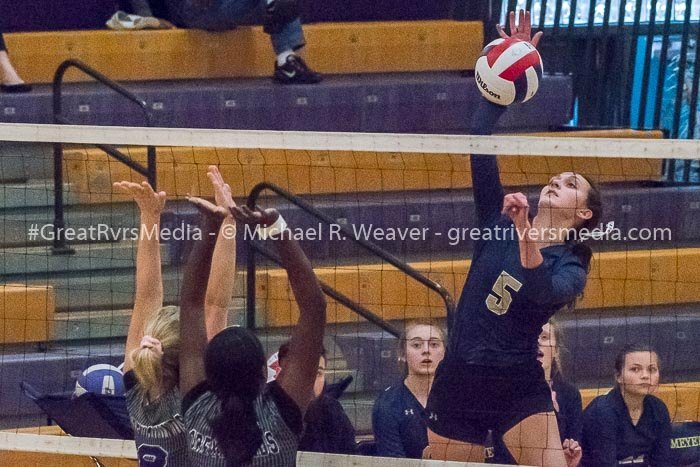 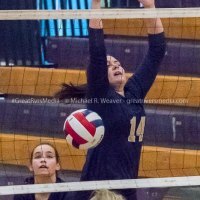 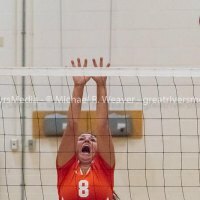 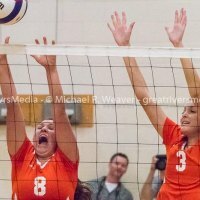 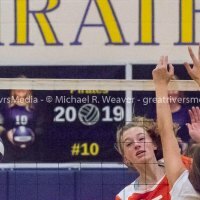 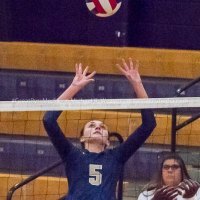 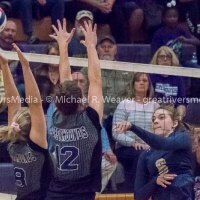 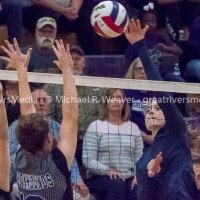 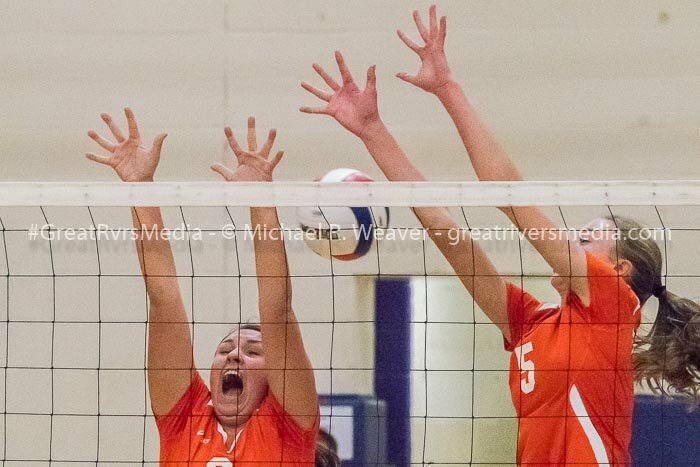 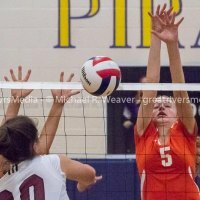 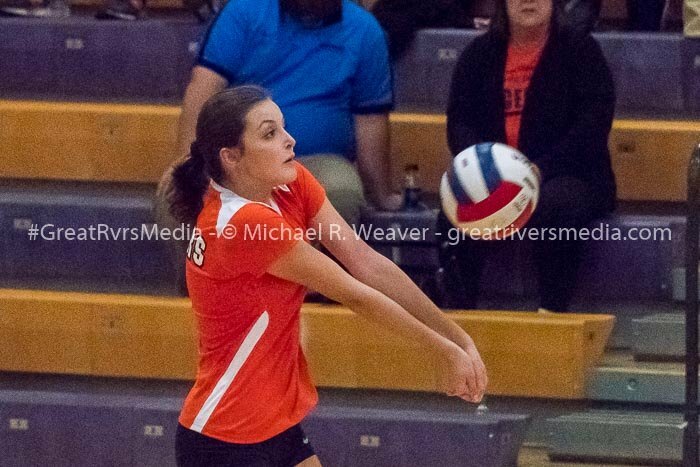 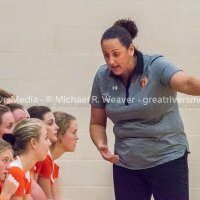 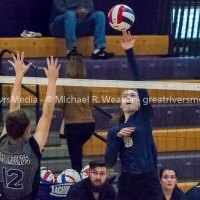 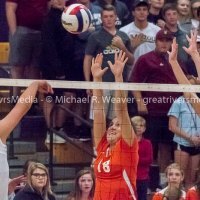 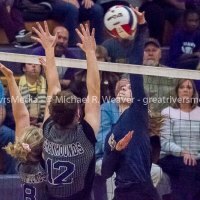 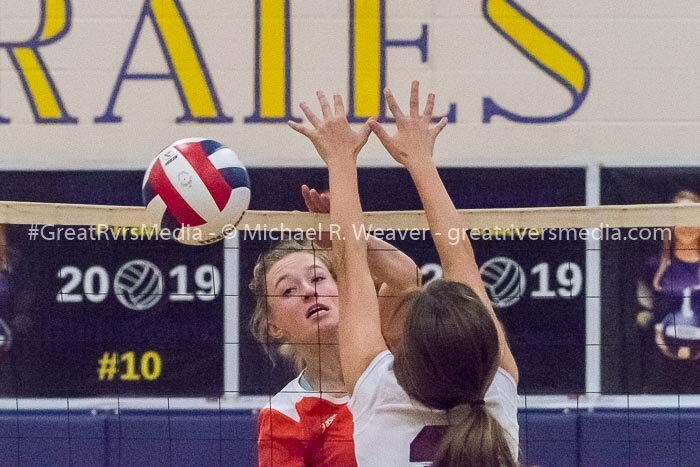 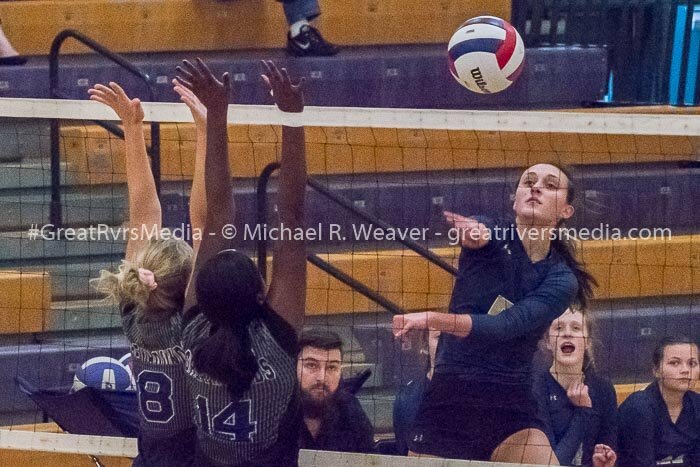 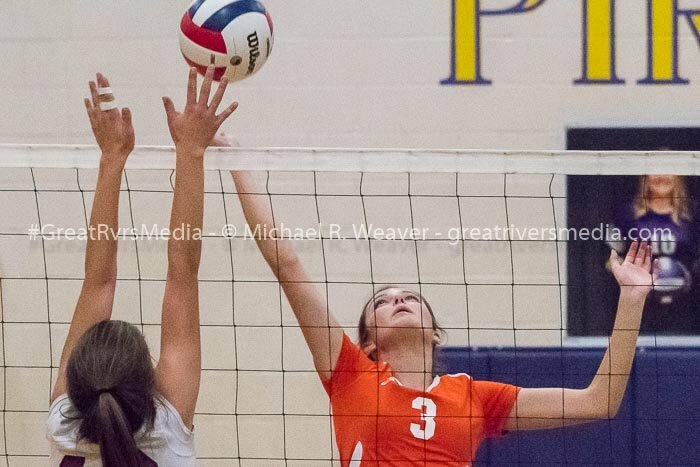 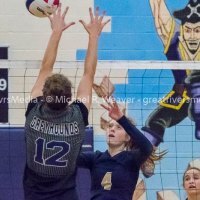 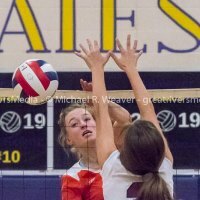 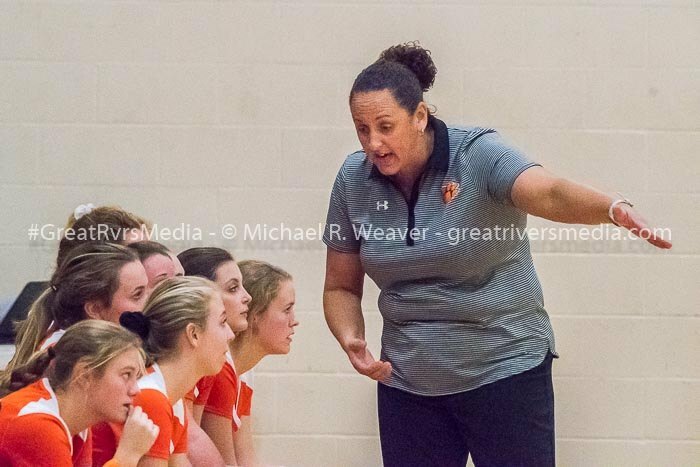 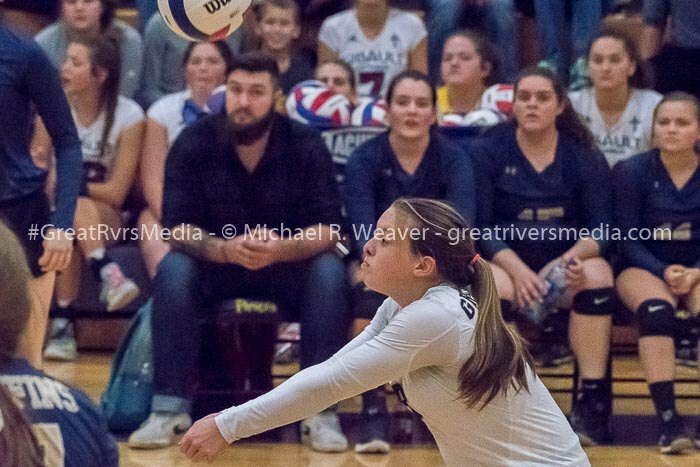 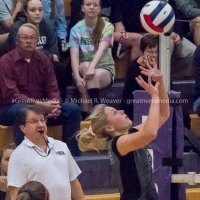 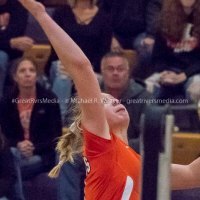 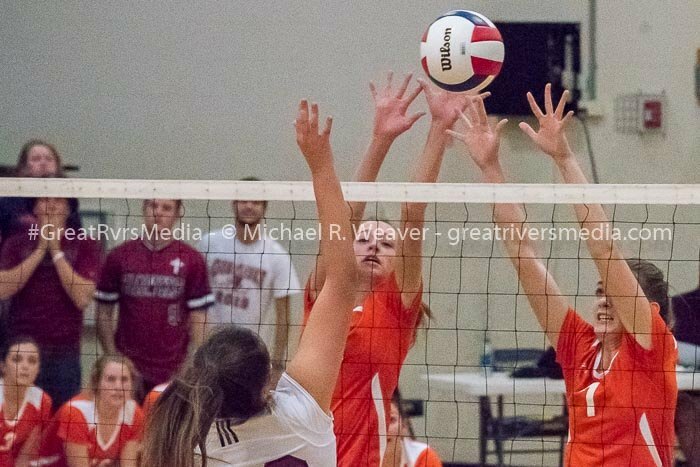 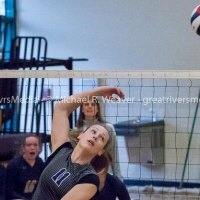 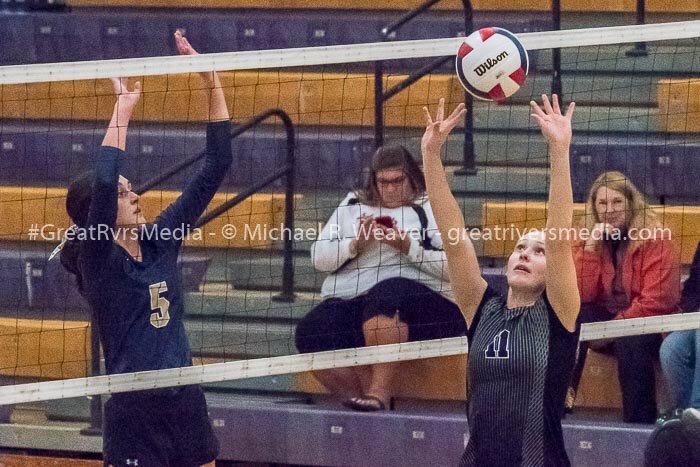 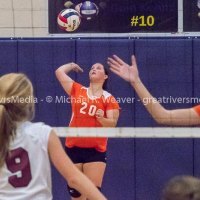 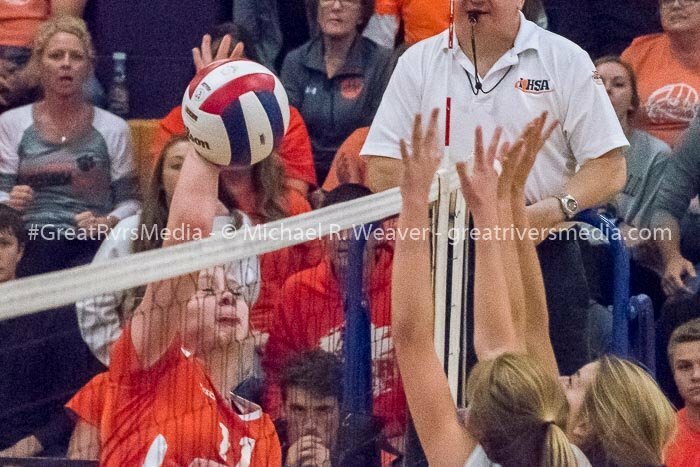 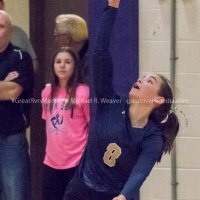 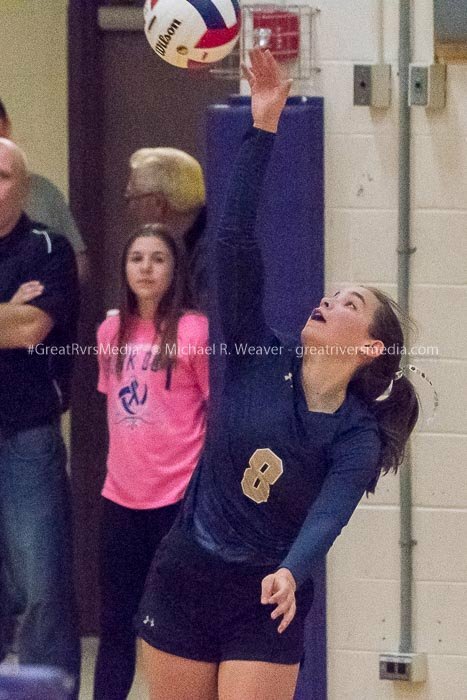 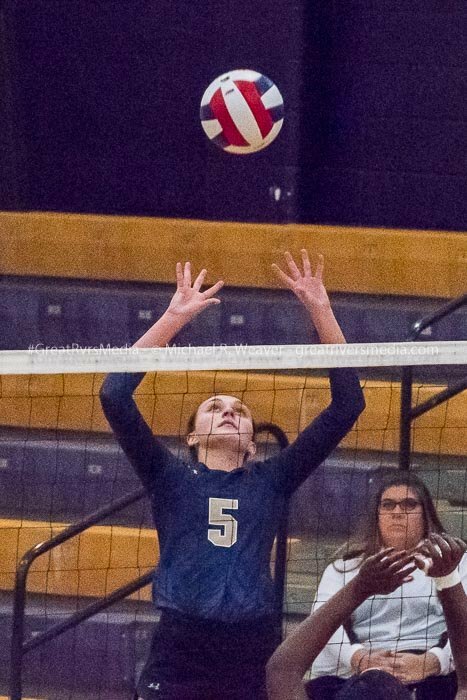 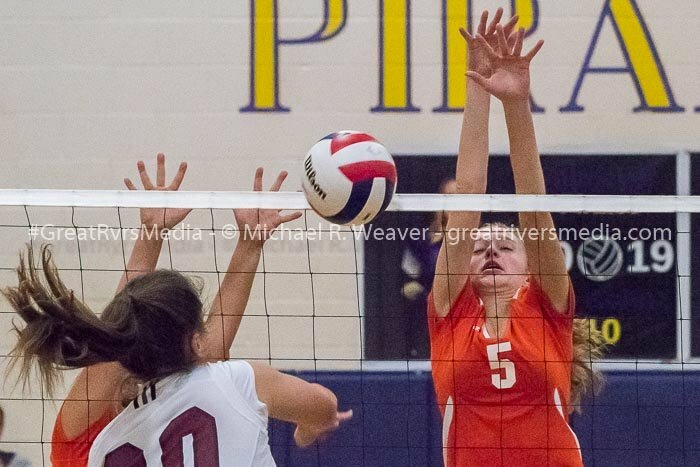 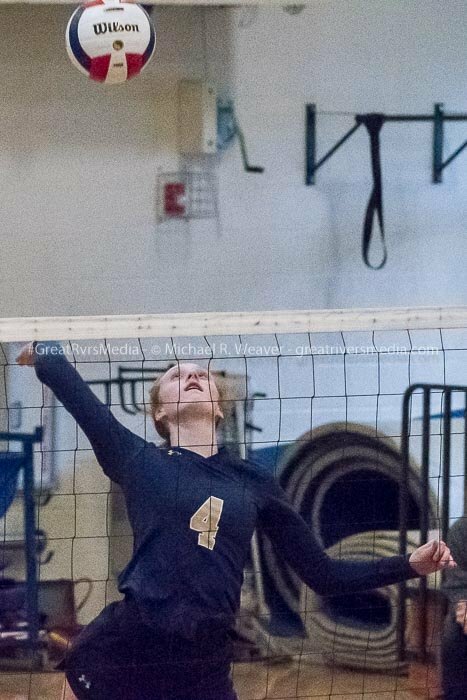 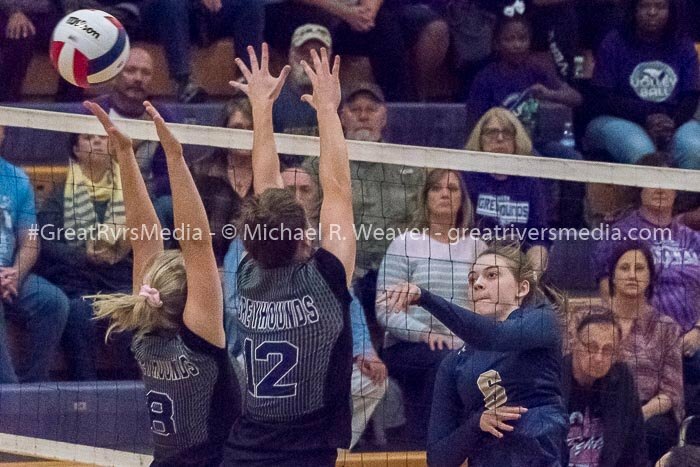 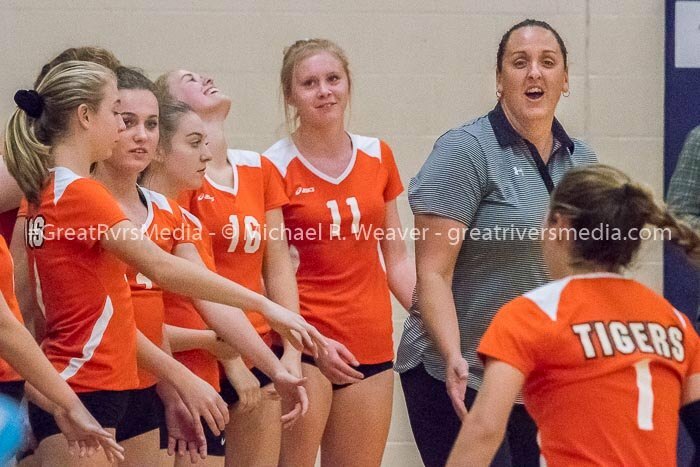 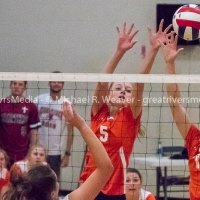 VALMEYER - Greenfield-Northwestern's girls faced a difficult Waterloo Gibault Catholic volleyball squad Monday night in the Valmeyer Sectional and lost 26-24, 25-14. 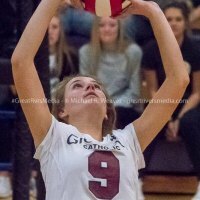 Momentum stayed with Gibault at the start of the second game, as the Hawks jumped out to an early 7-2 advantage. 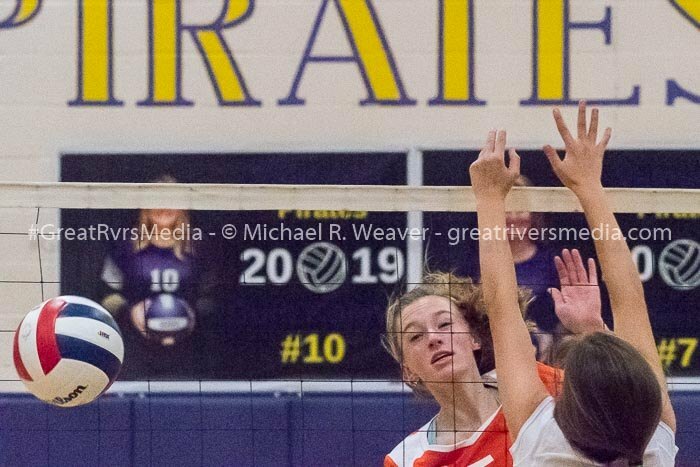 The Hawks used their service game to their advantage to extend their lead, and closed the match out with a pair of kills from Ashlyn Wightman, an ace from Zoe Swip and a kill from Ande Grohmann to close out the 25-14 win. 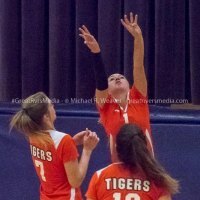 Hailey Driscoll led the Tigers with six successful kills, while Gillian Bowman had four kills and Kersty Gibbs three kills. 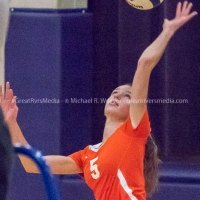 Carly Gregory had 12 set assists. 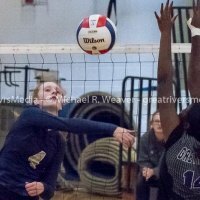 Megan Jones had two aces and Driscoll added an ace. 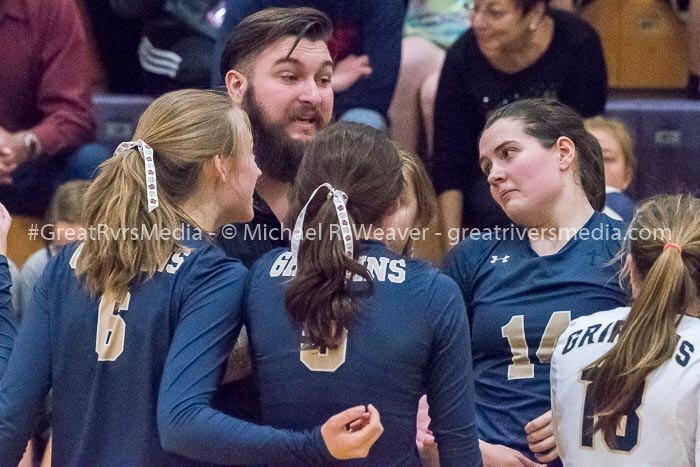 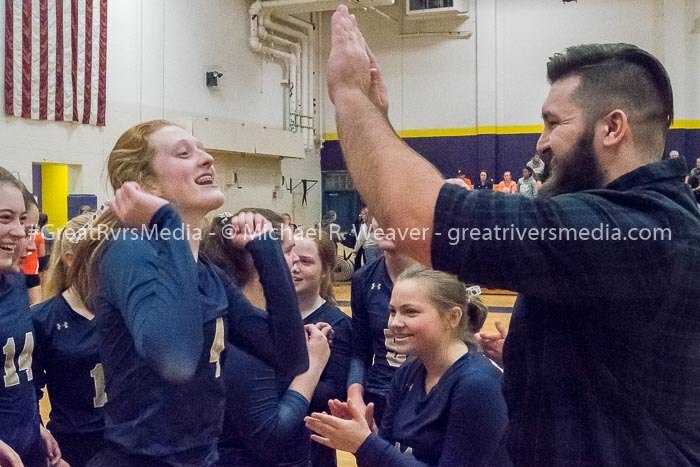 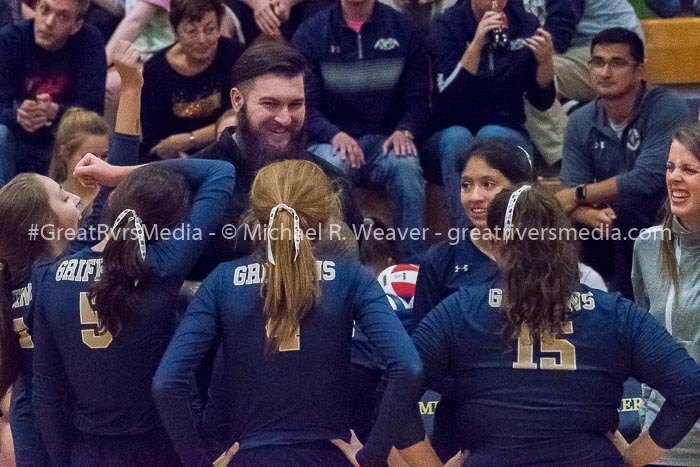 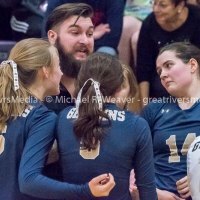 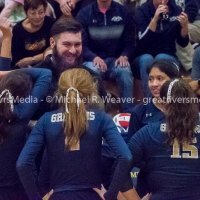 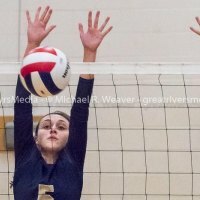 The girls’ volleyball team of Father McGivney Catholic High continued its historic run in this postseason. 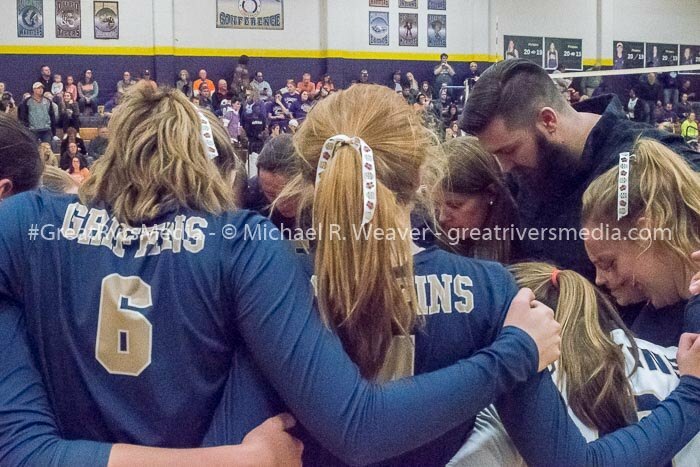 The Griffins, fresh off its first-ever regional win, defeated Lebanon 15-25, 25-22. 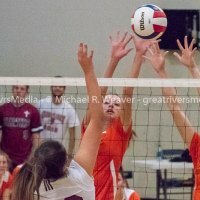 25-14 in the first match, while the Tigers lost to Waterloo Gibault Catholic 26-24, 25-14 in the nightcap. 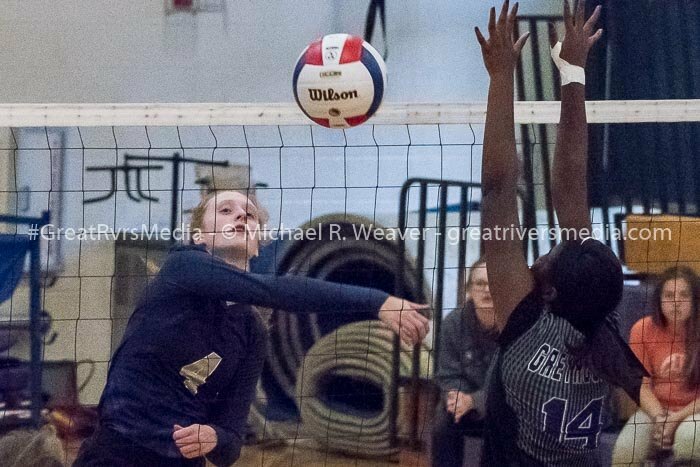 McGivney upped its record to 24-12 with its win, while Greenfield’s season comes to a close with a 20-12-1 mark. 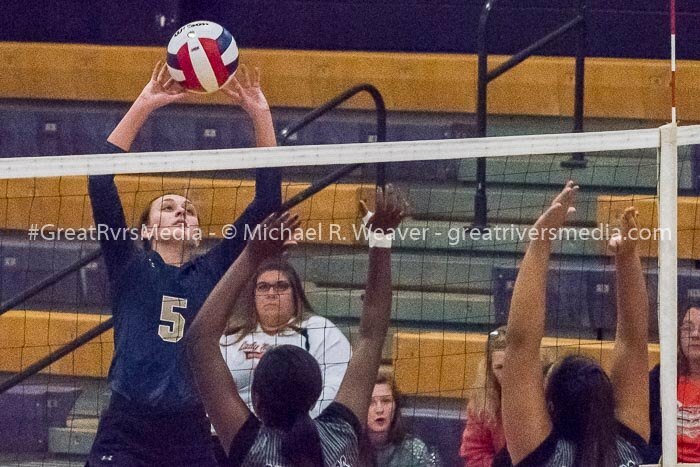 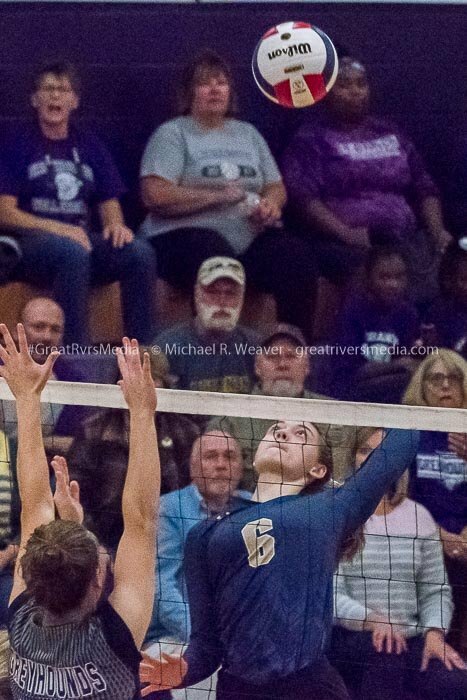 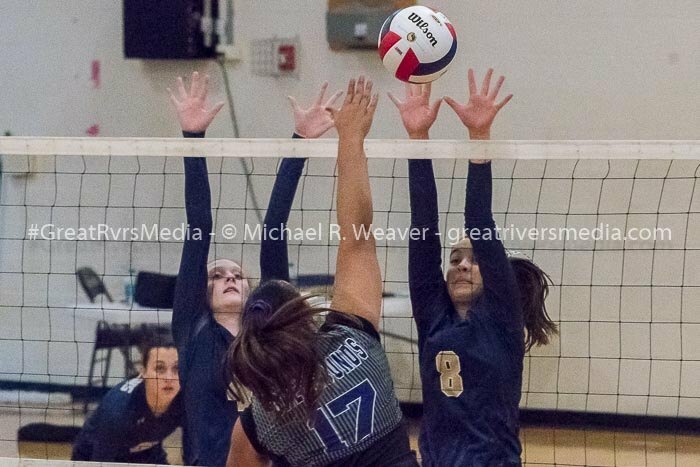 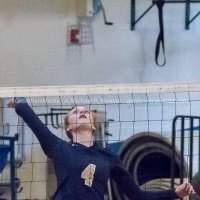 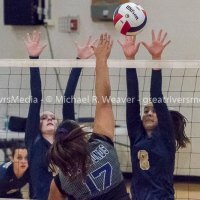 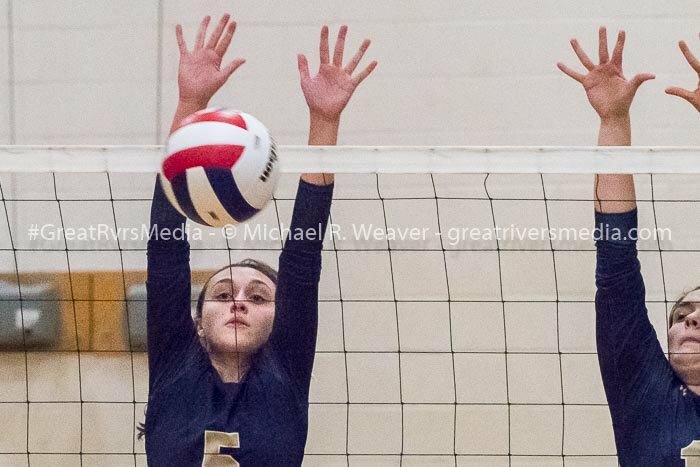 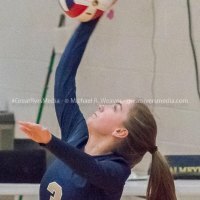 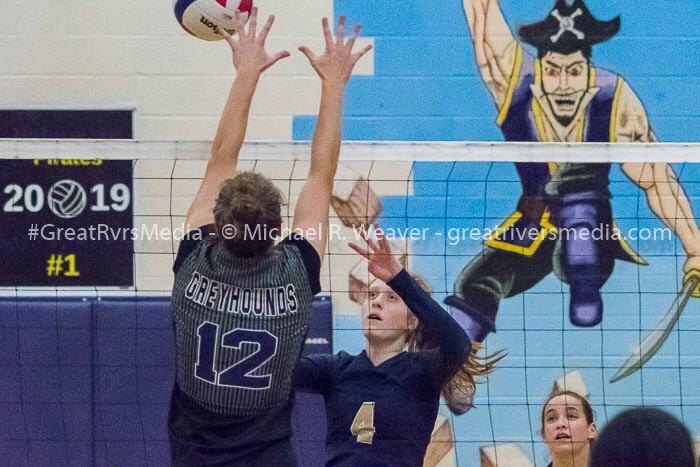 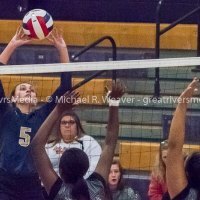 In the McGivney-Lebanon match, the first game was close most of the way before the Greyhounds broke it open to take a 19-12 lead, thanks to the efforts of Emily Reinneck and Allanah Blanks. 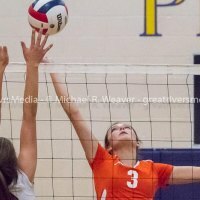 It was a Blanks kill that cinched the first game for Lebanon at 25-15. 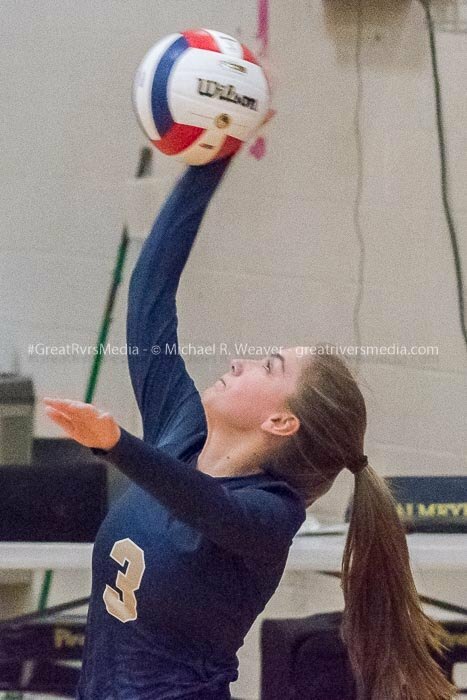 The Griffins came back in the second game to take a 19-14 lead after a service ace, but Lebanon came back to within 23-22 before McGivney scored the next two points to take the game 25-22 and set up the third and deciding game. 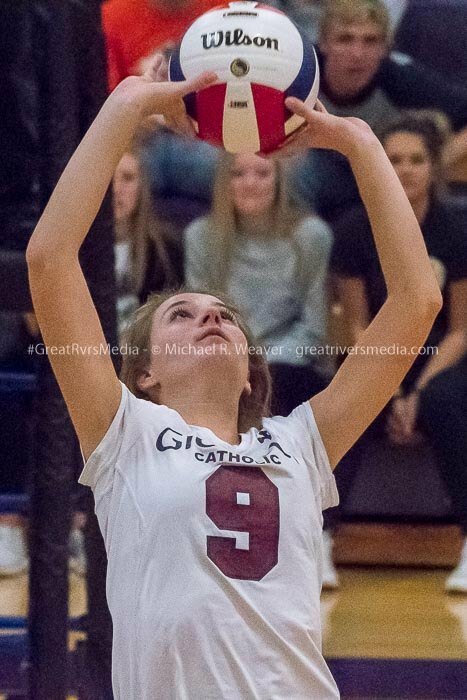 In that decider, Emma Deist put away a kill to give the Griffins a 15-9 lead, and Taylor Schwab’s kill extended the lead to 18-9. 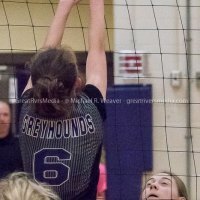 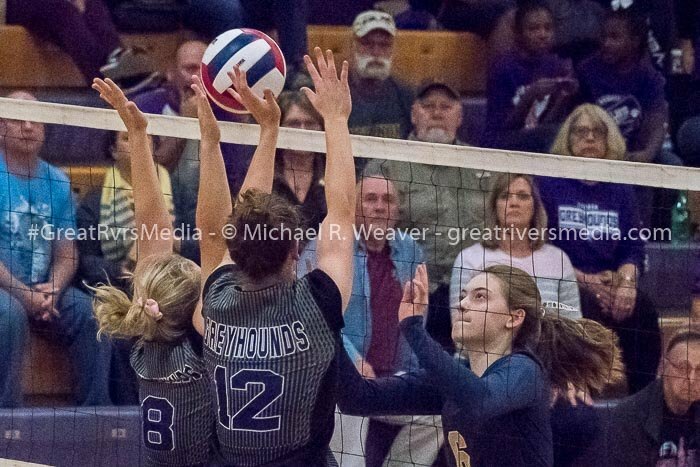 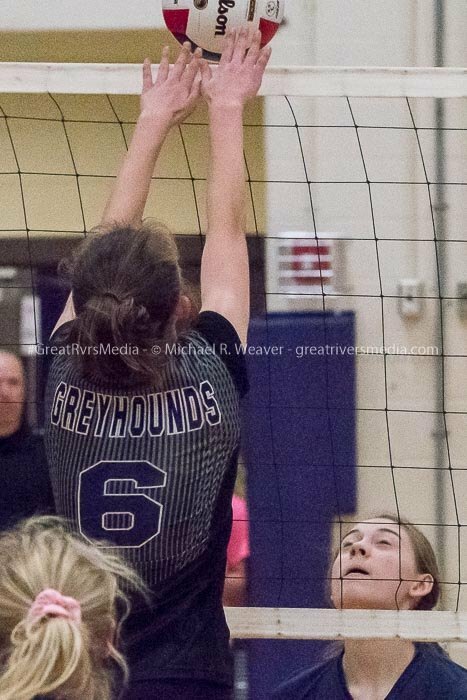 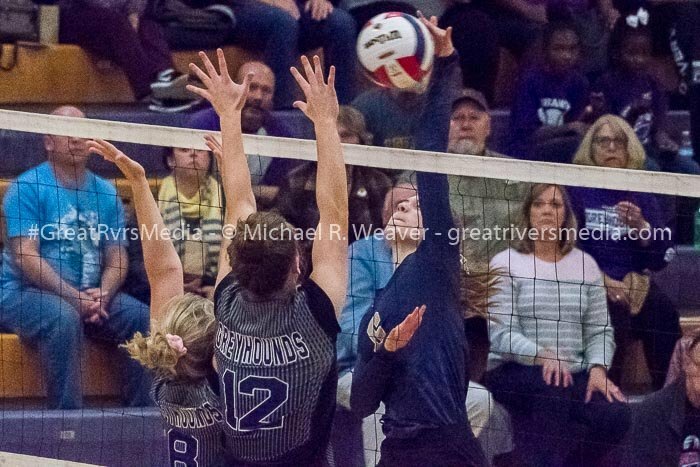 The Greyhounds could get no closer than eight points as a pair of Rebecca Raymer kills closed out the game 2514 and the match to the Griffins. 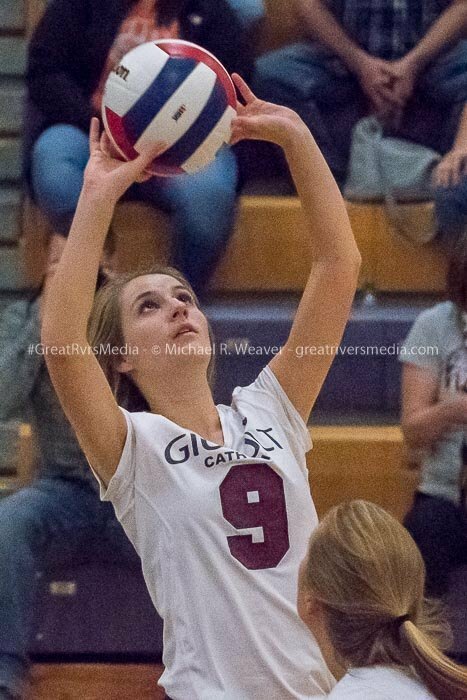 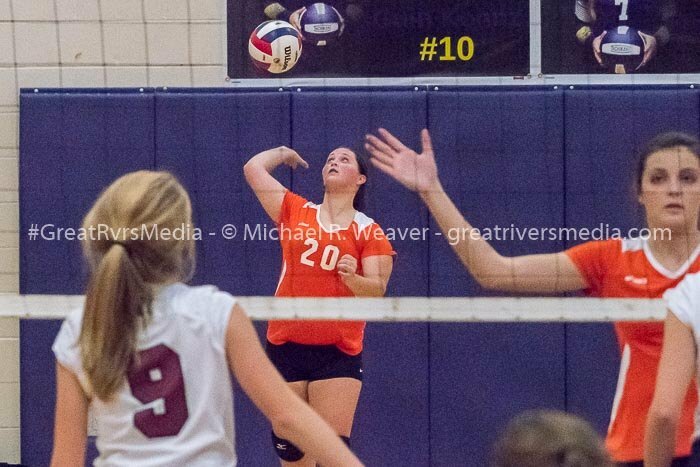 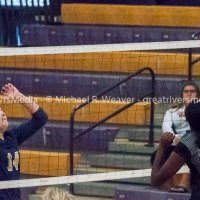 Deist led the Griffins with nine kills on the evening, while Anna McKee had 10 blocks and Madison Webb had seven. 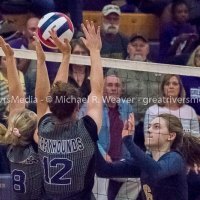 Macy Hoppes contributed 26 digs and Clair McKee had 14 assists and Guinevere Smith had two service aces. 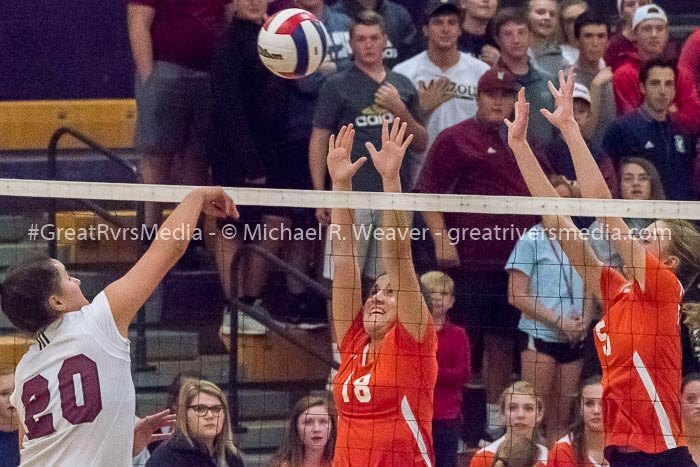 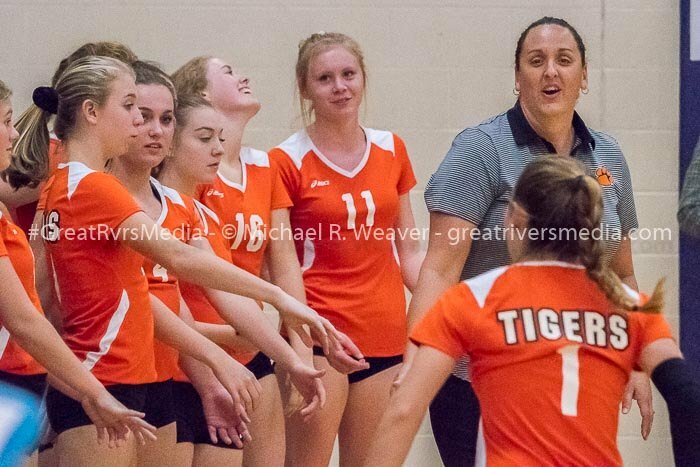 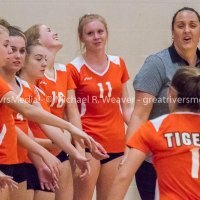 In the second semifinal, the Tigers trailed in the first game 24-18, but rallied with six straight points to tie the game at 24-24, as Megan Jones served up a pair of aces and Kersty Gibbs had two kills during the rally. 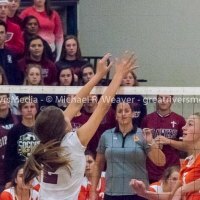 But the Hawks came up with the final two points to win the game 26-24. 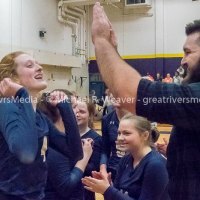 The Griffins and Hawks will meet in the final on Wednesday night, with the match starting at 6 p.m. 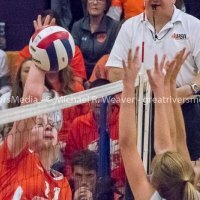 The winner faces the Thompsonville sectional winner, either Grayville or Norris City-Omaha-Enfield in the Okawville supersectional match Friday night for the berth in the state finals. 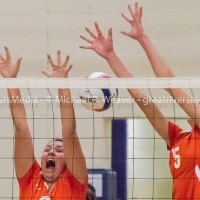 The finals are set for Nov. 9-10 at Redbird Arena at Illinois State University in Bloomington-Normal.